On Tuesday 17 November, Turkey hosted Greece in an international friendly in Istanbul in what was the first match between the two nations in eight years. Owing to the tense diplomatic relations between the two nations, the match was an attempt at a symbolic handshake. However, things did not start well. In a clearly hostile gesture, the fans repeatedly booed and whistled during the Greek national anthem. However, things got worse. After the national anthems of both the nations were sung, it was announced that there would be a minute's silence to honour of the victims of the deadly Paris attacks. Shockingly, the boos continued into the minute's silence, as can be seen in the video below. Chants of "Allahu Akbar" were also reportedly heard. The negative response to this blatant act of disrespect was swift, warranted and expected. Media organisations across Europe condemned the actions of the Turkish supporters inside the stadium. Newspapers in Greece, England, Spain and Germany hit out particularly hard. One Greek newspaper even wrote that "Turks do not care about the Paris attacks." 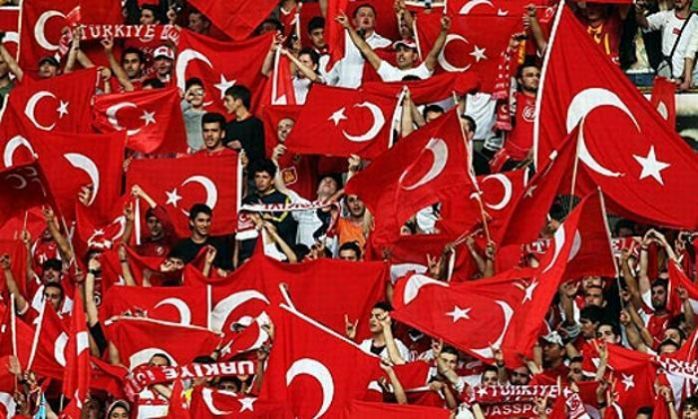 It is this very reading of the Turkish fans' actions that has now gained acceptance around the world. Except that the boos and whistles, even the chants, are not reflective of whether Turks care about the Paris attacks or not. It is reflective of their opposition to selective outrage to incidents of terrorism across the world. As an article in turkish-football.com says, echoing the sentiments of the Turkish public in general, bombings in the Turkish capital of Ankara (which took 100 innocent lives and injured 400 others) did not receive the kind of worldwide condemnation that the Paris attacks did. Furthermore, minute's silences were not observed at football venues across the world for the same. While not justifying the actions of the supporters who disrupted the minute's silence, the article says that it's also important to know that the chants of "Allahu Akbar" were not to support the actions of the terrorists who caused Paris to come to a standstill. It says, "while nationalistic in origin, (it) has become a typical 'Let's Go Team!' type of thing. It is also categorically incorrect to say that the Turkish populace does not care about the attacks in Paris. In fact, the famous Bosphorus bridge was lit up in the colours of the French flag like monuments across the world, and vigils were held for the innocent people who died in the attacks. While the boos were misplaced and uncalled for, the discourse has veered away from the reason behind them to what they supposedly represented. The only hope is that with time, there will be a greater and more far-reaching sensitivity to acts of terror across the world than there is in this world which is currently crippled with doubt.